According to new Mintel figures released last month, nearly one in eight of us in the UK is now vegetarian. Even if you vaguely apply the national data to London, this means there are at least a million of us — though the figure is likely to be much higher — and that’s not even taking into account ‘flexitarians’, 'meat reducers', and visitors from around the world. It’s safe to say, then, that not all of us will be tucking into turkey or gobbling up goose come Christmas Day. We may shun flesh, fish and fowl, but we still like to party and have a good time, right? So here’s our round-up of meat-free Christmas events: pop-ups, supperclubs, festive fairs and cookery classes galore. We’ve even sought out veggie-friendly Christmas afternoon tea and festive restaurant menus for you— plus this year’s top vegetarian cookbooks for you to source your Christmas dinner from. There are surprisingly few exclusively meat-free pop-ups and supperclubs, though most mainstream ones will cater for you (with varying degrees of success). Here’s our pick of the specifically vegetarian and vegan ones providing a sprinkling of festive cheer. 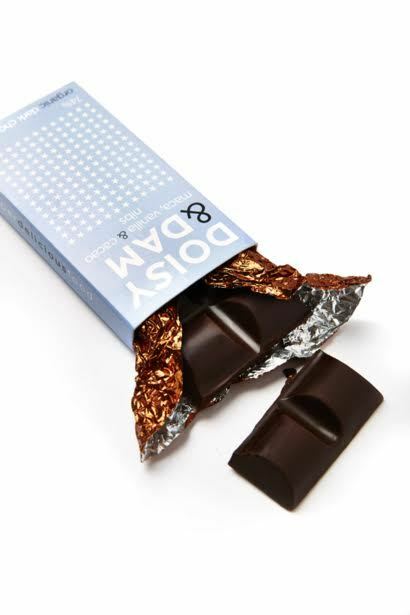 Award-winning vegan chocolate brand Doisy & Dam is popping up at the Old Street station this week, selling superfoods chocolates in festive packaging, and trialling a new dairy-free and sugar-free hot chocolate drink. There’ll also be gift packs for Christmas shoppers — so drop by on your way home from work and get some treats for the vegan chocoholic in your life (or yourself). 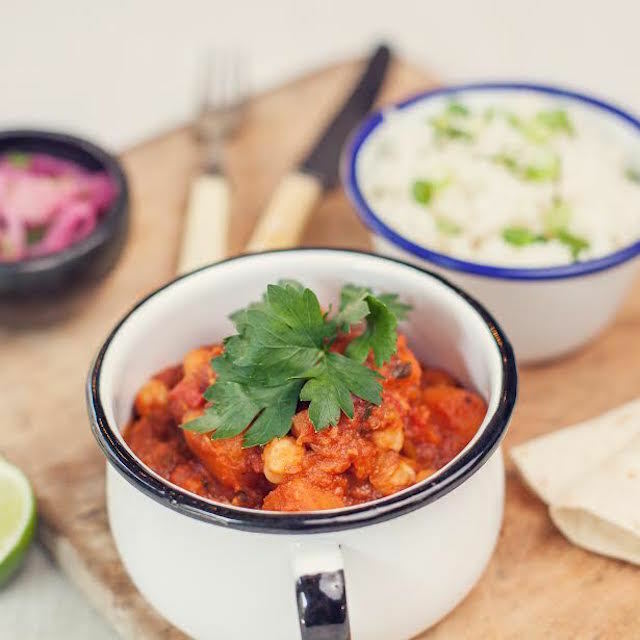 At Bodega 50, a little-known vegan café in Stoke Newington, the Little Cooking Pot’s host Sarah, who specialises in Indian, Mexican and Middle Eastern cuisines, is cooking a three-course Indian vegan feast. The cost includes a welcome glass of punch. Expect plenty of spice and colour. Sally Butcher, who owns the delightfully quirky Persepolis Persian food and drink shop in Peckham (and is author of the outstanding Veggiestan cookery book) is hosting a vegetarian Christmas supperclub at the local Cinnamon Tree Bakery. Among the exciting festive dishes are chestnut and sprout tagine with Marrakesh-spiced potatoes and pomegranate-cucumber salsa, and aubergine steaks layered with halloumi, nibbed nuts and fruit leather. The cost includes “Christmas fripperies, cheesy Christmas music, a glass of Persepolitan-pimped prosecco and Mr Shopkeeper’s best Santa impression.” Now if that doesn’t get you into the party mood, nothing will. Call 020 7639 8009 to book. Persepolis has also recently opened a small vegetarian café inside the shop, which will be serving festive meat-free Middle Eastern meze in the run-up to the holiday season. Looking for gift ideas for a ‘cruelty free Christmas’? Look no further than these two events, with plenty of plant-based fare to keep your tummy happy, too. Cost: £3 at the door, including access to the museum and its gardens and exhibitions. At the sustainable, eco-friendly Christmas fair, this lesser-known museum’s beautiful Victorian church-like interior will be transformed into a showcase for local designers and artists with, we’re promised, a magical atmosphere. There’ll be hand-crafted homewares, stationery, prints, jewellery and food gifts for sale. Carols from the award-winning London Concord Singers choir will jolly things along. A picnic-style vegetarian Christmas menu, plus own-made mince pies and mulled wine, will fill any hunger pangs. Promising “a feast of ethical festive treats”, this annual Christmas fair takes place at the Kensington Town Hall, and is particularly popular with vegan families. There’ll be a hundred animal-friendly, eco-conscious and fair-trade exhibitors, vegan food producers and political speakers. You can expect everything from dairy-free chocolates, cupcakes and pies, to vegetarian shoes and skincare products. Stuck for Christmas cookery ideas, or simply want to dazzle your guests with something extra-special this year? Brush up on your culinary skills — and pick up new ideas and tips — at these vegetable-centric cookery classes. Learn how to cook festive veggie fare from chef, baker and ‘sourdough expert’ Hilary Cacchio at one of London’s most prestigious cookery schools. Sophisticated dishes include wild mushroom and chestnut ragout with sourdough, thyme and parsley stuffing balls, and Italian chocolate Christmas pudding. Located near Arsenal tube station, food writer and cookery teacher Anna Colquhoun runs an informal monthly vegetarian cooking club — like a cross between a cookery class and a supperclub. She takes Riverford’s organic fruit and veg as a starting point, building imaginative recipes based on what’s available seasonally. Although not billed as a festive cooking class as such, the December club is focusing on seasonal produce such as parsnips, brussels sprouts, celeriac, jerusalem artichokes and oranges. An example menu suggests dishes such as carrot and ginger soup with orange blossom cream, and chocolate fondant puddings with candied orange — but this will depend on what’s available at the time. So often relegated to the sidelines, these humble winter vegetables will truly have a chance to shine. Spice up your Christmas with Sutton-based 2014 Masterchef contestant Spice Angel’s festive veggie Indian masterclass. Learn how to make batata vada (potato fritters) with sprouts, spiced parsnips, paneer kebabs and festive saffron rice. If you’re looking for something different for your Christmas table, you’ll find it here. After all the hard work… making shopping lists… you deserve a break, no? Some much-deserved ‘me time’. A fabulous pampering treat. Ideally it should involve a pastry or a cake, shouldn’t it? Okay, just a little one. Maybe a glass of champagne or two. Go on… it’s Christmas. Done up in the classical style, the award-winning English Tea Room at one of London’s oldest hotels was once frequented by Queen Victoria. We recently enjoyed a delicious veggie version of their festive afternoon tea featuring gorgeous cakes, pastries and several different varieties of meat-free sandwiches. We were particularly taken by the 75-year-old-recipe scones, which are not to be missed. A pianist playing Christmas carols adds to the festive atmosphere. Start with mulled wine at the bar — extravagantly orangey, it’s one of the best we’ve tasted this year — then enjoy the veggie take on their magical ‘winter wonderland’ theme. 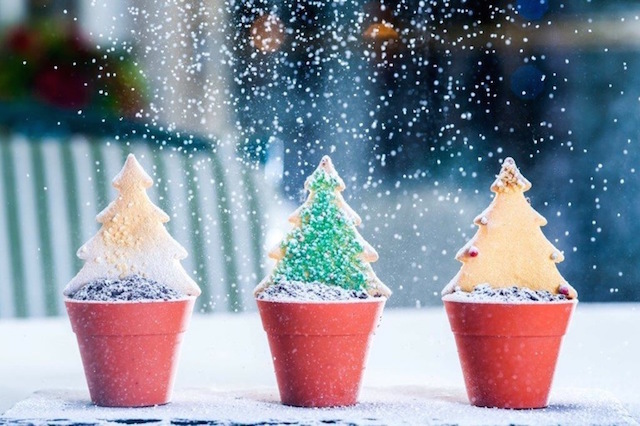 We were charmed by cute little Christmas tree chocolate pots, snowman cupcakes, mulled wine macarons, and much more. Served in their elegant conservatory with amazing atmosphere, the hotel has won a special ‘award of excellence’ for its tea service from the UK Tea Council for three years running. The Twelve Days of Christmas is imaginatively interpreted in elegant edibles at the chic Wellington Lounge of this smart hotel. Follow a gin- and citrus-based festive cocktail with their veggie version of the Christmas afternoon tea. It features such delights as a delicately carved choux pastry swans filled with chantilly cream and ‘air-dried’ raspberry, light-as-air dark chocolate drums with drumsticks sprinkled with gold and walnut powder, and fabulously fudgy treacle tart with gold leaf and five gold rings. The light, moist sultana and buttermilk scones are some of the best we’ve ever tasted from a hotel afternoon tea menu. Also worth noting is their separate vegetarian Market Garden afternoon tea. 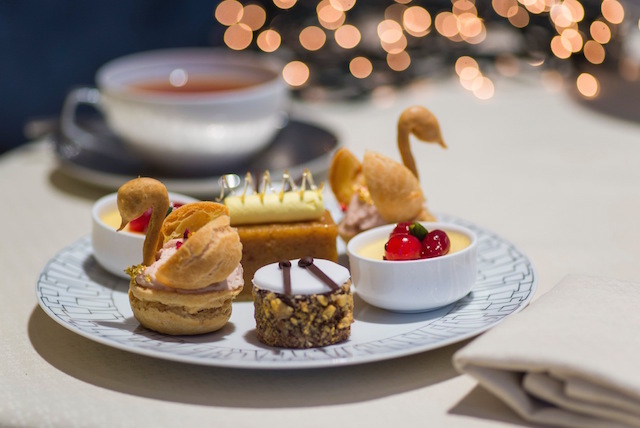 In a glittering room with panoramic views of the sumptuous Christmas lights of Harvey Nicks and Harrods opposite — which look like waterfalls of stars, or even large sprays of fireworks — you can be further enchanted by a meat-free version of their festive afternoon tea. All the classics like Christmas cake and mince pies are present and correct, but there are also little Asian touches in ingredients like ginger, yuzu and rose petal jam. Don’t miss the Japanese green tea with roasted rice that tastes a bit like liquid popcorn. These and many more veggie-friendly festive afternoon teas are bookable via afternoontea.co.uk. 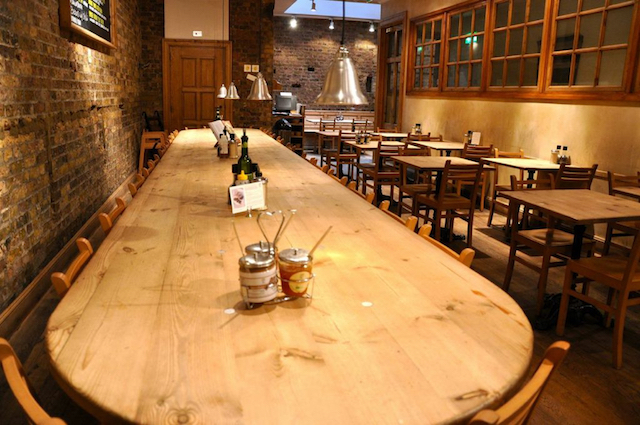 Both the Hammersmith and Islington branches of this reliably-great vegetarian restaurant offer an eclectic Christmas menu, with vegan and gluten-free dishes clearly marked. You’ll be spoilt for choice with pumpkin and stilton galette, aubergine schnitzel, wild mushroom risotto cake, and cashew, hazelnut and herb roast — a sort of ‘greatest hits’ of some of their best and most popular dishes available during the year, all cooked and presented with a seasonal twist. This enormous Camden bar-restaurant, with its eye-popping extravagant design, is one for dressing up, sipping cocktails and being seen in. The pan-Asian Christmas veggie menu, with influences from China and Japan, features prettily presented dishes such as vegetable hotpot with crispy tofu, kimchi broth, pumpkin, shiitake mushrooms and choi sum; and warm apple crumble tart with yuzu sorbet, toasted coconut pannacotta, candied waterchestnuts and Thai basil. Yum. This veggie and vegan-friendly UK-wide chain of South American restaurants that has five branches in London, has a fun, lively vibe. Specialising in Mexican and Brazilian food, it’s particularly popular with large groups. There’s plenty of choice on their meat-free menus (approved by the Vegetarian Society), including ‘ho ho queso ensalada’ (mango, goats cheese, baby spinach and candied pecan salad), and festive fajitas with three types of mushrooms. Get your Christmas hats out for this one. Garlanded with awards and accolades, this Michelin-star Modern Indian in Mayfair has a suitably sparkling festive menu. Choose from the likes of beetroot shikampuri kebab with kasundi chutney, mushroom, fenugreek leaf and pea pilau with optional black truffles, and chestnut and date kheer (rice pudding). If you’ve been hearing about Gymkhana all year and haven’t had a chance to try it yet, what better excuse to visit? Boasting a beautiful Kingston riverside location, this popular, award-winning vegetarian restaurant serves a wholesome, old-school menu of international classics throughout the year. Their Christmas menu features chestnut roast with cranberry, mushroom or tomato-orange sauce, and organic baked figs with orange and brandy. All the dishes are marked as vegetarian, vegan or gluten-free. This is retro festive fare, and will remind you of the days when Sarah Brown was on the telly and Rose Elliot was very much the veggie queen. Meaning ‘the daily bread’, this Belgian chain of UK-wide bakery-restaurants with 24 branches in London, takes bread as a jumping off point for other ingredients. The three-course vegan Christmas menu is a surprise, and encompasses winter-spiced cauliflower soup, polenta and quinoa cake, and Christmas pudding with soya cream. Many of the ingredients used are organic, including in drinks such as the prosecco cocktail. 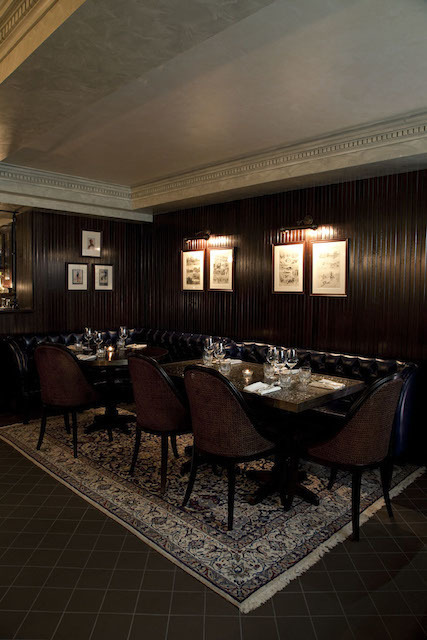 If you’re planning to eat out on Christmas Day, this upscale French restaurant, located in beautiful Marylebone Village, is offering a festive vegetarian tasting menu for one day only. Elegant dishes include beetroot and artichoke salad with shaved truffles, and fricassee of crispy polenta, wild mushrooms and winter vegetables. So, then, what will you be eating on Christmas Day? It's the one question that a vegetarian is asked more than any other at this time of the year. Thankfully the days of introducing your ‘awkward vegetarian boyfriend’ to the rest of the family, or telling your granny you’ll make do with sprouts and roast spuds are long gone (we hope). All our favourite veggie cookbooks published this year happen to be by London chefs and restaurants. So if you’re looking for more seasonal inspiration, here’s our pick of festive dishes from three of the must-have books, guaranteed to delight and surprise your friends and family. Healthy fast food chain Leon has spawned a number of cookery books, of which we’re huge fans. The retro design is gorgeous and unique, and the recipes are simple but give impressive results. Start with a fragrant sweet potato, orange and cardamom soup, and follow with Addie May’s Christmas nut loaf, made from chopped mixed nuts, chestnut puree, red pepper and spinach topped with cranberry sauce and blue cheese. Turnips, beetroot and orange, in which the vegetables are cooked in a marmalade glaze with walnuts, would make a somewhat unusual side dish; as would sprouts with honey and capers. A gluten-free alternative to Christmas pudding is parsnip, cashew and coconut cake made from rice flour, topped with white chocolate and cream cheese icing. There’s a handy recipe index at the back that divides up the recipes into sections such as ‘low GI’, ‘dairy free’, ‘wheat free’ and so on. Chef, food stylist and Jamie Oliver protégé Anna Jones seems to have come out of nowhere to publish one of the year’s most contemporary and imaginative veggie cookbooks. There are two pages of variations on hummus, such as date and black sesame and black bean and pumpkin seed — ideal for feeding a crowd. For the big day itself, kick off with celeriac soup with hazelnuts and crispy sage, in which the root vegetable is cooked with leek, apples and butter beans and topped with toasted hazelnuts and fried sage leaves. ‘Goodwill rainbow pie’ is sure to induce, well, goodwill: it’s a clever, colourful show-stopping centrepiece, in which differently-flavoured layers of sweet potatoes, beetroot, parsnips, leeks and winter greens are stacked up with lancashire cheese inside thyme-spiked pastry. Then why not round off with something light yet seasonal like brown sugar meringues with sticky apples and pears. As an honorary veggie guru, who’s surprisingly not veggie himself, Ottolenghi needs no introduction. This follow-up to his veggie classic ‘Plenty’ has chapters divided up according to cooking techniques, such as ‘braised’ and ‘roasted’. It’s an intriguing departure from ingredient-led cooking, and we do wish he’d used vegetarian cheeses throughout the book — but the recipes are inspirational for the experienced cook. Orange and date salad, featuring fresh oranges, medjool dates, radishes and lots of fresh herbs in a fennel and orange blossom dressing, would make a light, refreshing start to a festive meal. Brussels sprout risotto containing dolcelatte could be a controversial main course though – sprouts and blue cheese being the two ingredients that many people turn up their noses at. But you’re sure to win them over with walnut and halva cake, topped with sesame halva and cinnamon. How are you planning to celebrate a vegetarian Christmas this year? And do you know of any other exciting events we should add to our list? Let us know in the comments below.